” House of Never is one of several Austin area neo-progressive bands getting some notice. House of Never is Daniel Lee James (lead vocals, guitar, keyboards), Clay Finley (guitar, vocals), Van Hoisington, Jr. (bass, horns, vocals), and John McKean (drums, percussion, vocals). Formerly known as The Daniel Lee James Band, House of Never released their self-titled debut CD in 2103. 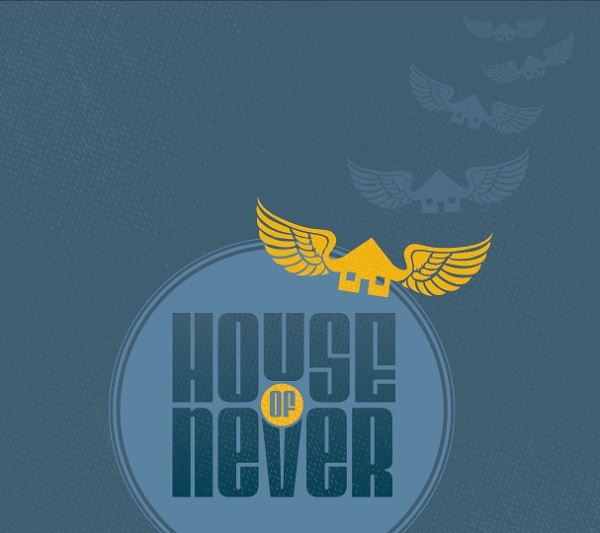 House of Never is an interesting blend of ten progressive and pop tunes, most in the three to four minute range. Some of the songs are fairly aggressive, reminding me of Tool, such as the strong opening track “On Your Wave.” Others are a bit more in the Canterbury mode, for example “The Rhythm Keeps Rolling.” A couple of others are pop tunes: “Angel Tears” and “180 Degrees.” Interestingly, “Angel Tears,” in addition to its pop styling and progressive guitar licks, its lyrics approach Christian Rock. Daniel writes most of the music and Van’s driving bass figures prominently throughout. Some songs have quite intricate arrangements while others capture and convey a mood like “Mystery” or “Ship of Fortune” with its rhythmic ebb and flow emulating sailing on the high seas. There is also a hidden track included in the final song “Fine Day” that plays after a gap of silence about three minutes into the song. Even though there is such diversity in the songs, it all works wonderfully.